I have a new toy — can you tell what it is? If you follow me on Twitter you maybe saw my frantic tweets a few days ago about ALL my Dagmar’s momsense blog posts, over 300, being gone. I had tried to add another button to one of my pages and for some reason it wouldn’t work, and the next time I logged into my blog’s dashboard there were NO blog posts. Gasp. I clicked over to look at my blog and sure enough — the header and sidebars were there, but NO POST! I just about had a heart attack right then and there at Panera Bread. I didn’t know if I should faint, scream, or start to cry. All that work, all those picture of Landon from over 1 1/2 years, thousands of hours spent writing — gone! Ahhhhhhhhhhhhhhhhhhhhhhh! No, that wasn’t enough: AHHHHHHHHHHHH! I was able to recover my blog post with the help of my wonderful friend and computer wizard Joel and a friend of his, Kent. We don’t know what happened, but the coding was all messed up and Kent was able to recover my posts. Thank goodness! I can never thank them enough. Let me tell you, I got a quick crash course in data backup. For all you WordPress or Thesis users, install the WP-DBManager plugin so your blog gets backed up automatically and export the XML file to avoid what I went through. Out of what could have been a huge disaster came something really great — I now have another person I can bother with my computer questions, and Kent updated my blog theme, Thesis, to the latest version. Three version had come and gone and I had never dared to upgrade it. What followed were about five hours of redesign work I spent playing around with all the new layout and design options I didn’t have before. I adore Thesis, working with it is so easy. The look is not dramatically different because I ended up liking — and keeping — most of the layout and design, but I really enjoy the added color. Do you like the new look? I’d love your input! Do you know who I actually credit for teaching me about external hard drives to back up my computer files? 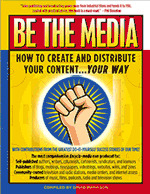 David Mathison, author of Be The Media. After I read about the different options of drives, I bought the one he recommends in his book and I am finally using it after this debacle :) Click on the book to take a look at his book — it’s invaluable for bloggers (and really every other career). Oh, my goodness! So glad that you were able to recover everything. I would CRY if I lost all my posts. I follow you on twitter, but this is my first visit to your blog, so I don’t know what it looked like before, but I like your design now. I’m so glad you had a happy ending :) I’m still on blogger, but seriously thinking of moving to WP- it all makes my head hurt a bit, though! Your design looks great, so crisp and clean! Site facelift looks great! 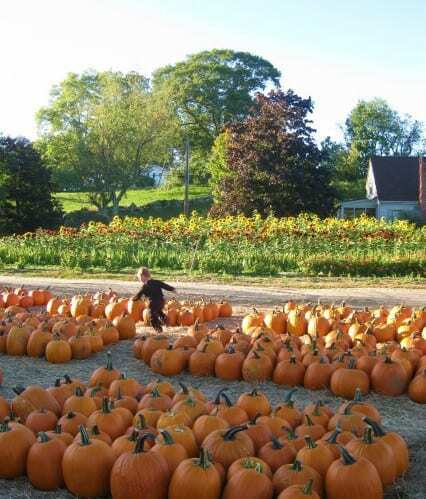 Not as good as Landon surrounded by pumpkins though.. More streamlined, easier to read. Will employ your expertise with back up plug in. Wow! I really like the new format. It’s very clean and easy to read! I love WordPress, they are the best! I had two of my clients transfer over to WordPress and they couldn’t be happier! The new layout looks really nice- although I know it is probably something you would have preferred to do on your own time! I am panicking a little for you as I read. And a little for me! I am can manage at my blog, although I still have heaps to learn, and I don’t know what I would have done with a scare like this. Thank goodness for good friends with mean skills! I like it! Clean, neat and easy to read! Wow, Dagmar – that’s so scary! So glad you were able to retrieve your posts. Whew! I DO like the new look.